Eleanor Pearl (Nichols)Rudebeck, b.11/29/1894,East Otto,Cattaraugus County, New York. d.4/27/1976, Waterloo,Black Hawk County, Iowa.Parents: Mary Helen (Livingston)&Nelson Byron Nichols. 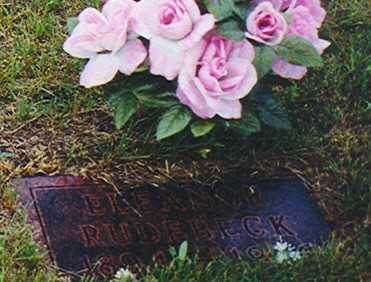 Spouse: Hans Jacob Rudebeck,married 11/20/1917, Cedar Falls,Black Hawk County,Iowa. Searching for ELEANOR PEARL RUDEBECK in Black Hawk County Iowa?